Say hello to another beautiful Monday, so glad to see your face. I know I am a wee bit too excited for another work week but I am just trying to get some practice in for my challenge this week. I want to let a few people know how much I appreciate them. You know, I buy all this cute stationary and tons of cute cards like a paper hoarder. Then I just sit and look at them, it is quite possible that sometimes I rub them across my face but I never actually use them. That’s gotta change today. Feeling appreciated is one of the strongest human desires, but that appreciation is not often found in a text message. Let’s think about how many emails and texts we have sent in the last week. Now when was the last time we sent a real handwritten letter? I’ll hang my head in shame now thanks. The craziest part is a handwritten letter costs less than a dollar to send, and can be kept forever. I just never take the time to actually write one. Sometimes I long for my younger years when the greatest thing in life was to get a letter from my penpal….not quite sure why I gave that feeling up. 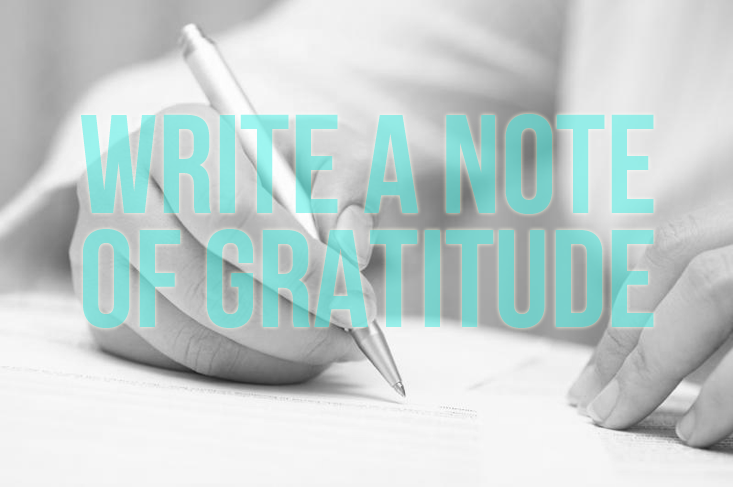 My challenge calls for one part cute card (or printer paper folded hamburger style) and two parts gratitude. I am going to handwrite a few of these notes today to some specials folks, the ones that I don’t tell enough how much they mean to me. Do you still handwrite letters? Did you have a penpal growing up? Where do you buy cute paper products…like I need more. I love this! And I absolutely agree that handwritten notes are so special! You just don’t see them very often….the saddest part is I don’t know how to find anyone’s address anymore!!! Ohhh that’s right I have read some of your posts about the More Love Letters, that sounds awesome!!! Damn skippy. But shockingly I do have notecards that have gold on them (from Paper Source like I mentioned) and I looove them! As for your addresses comment above, I save addresses in the contact info for the person in my iPhone. Easy. This post is good on timing for me! I recently picked up some of the dollar spot thank you cards from Target and decided they were just too cute to not use. So I wrote thank you notes to a few people in my life. I was surprised by the strong reaction! 🙂 I think you are so right… more handwritten notes. Awwww that makes me excited to send these!!! OOOOOOOOO i love your blog design so so much!!!!!! who did it? !